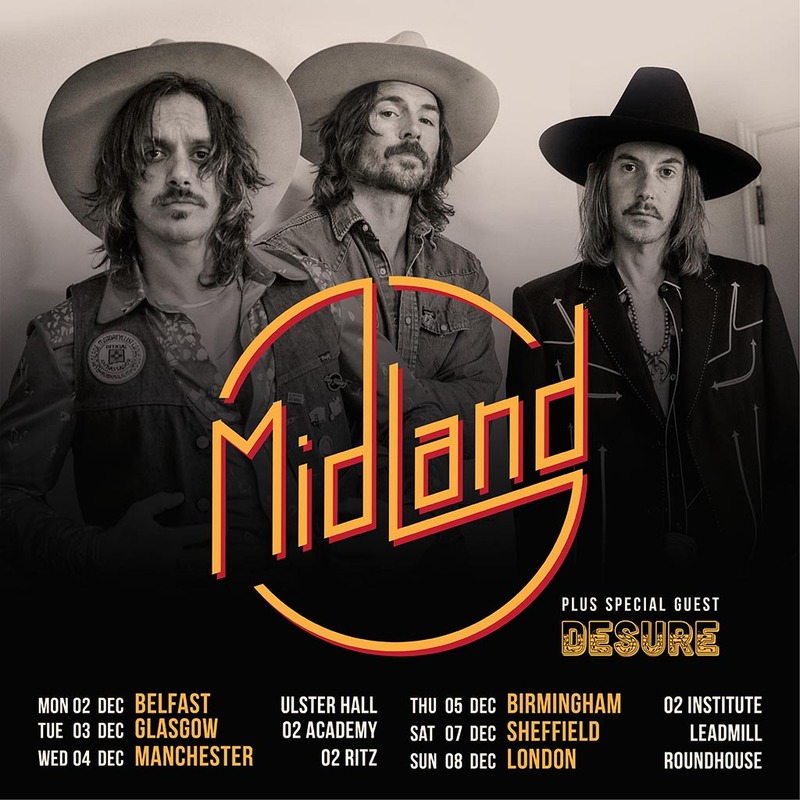 Midland’s latest Top-10-and-soaring single “Burn Out” continues to resonate as audiences experience the accompanying music video, which is currently nominated for an ACM Awards Video of the Year. The reigning ACM Awards New Vocal Group of the Year is also vying for Vocal Group of the Year at this year’s live telecast on April 7 from Las Vegas. The Washington Post touted their No. 1 album ON THE ROCKS (Big Machine Records) as “the year’s best Country album” and the band has garnered GRAMMY® Awards nominations for Best Country Song and Best Country Duo/Group Performance for PLATINUM-certified hit “Drinkin’ Problem.” For full tour dates and more, visit at MidlandOfficial.com.